At Fence Masters, we know that when the summer weather hits, every Canadian wants a backyard deck so they can get the most out of the beautiful weather. Our expert team can create custom decks from scratch or by incorporating new designs that can improve your current deck structure. So if you’re eager to extend your living space outdoors to make the most of summer, here’s how we can help! We consult thoroughly with each homeowner to determine their exact needs and wants when it comes to their dream deck. Our team will perform an onsite assessment of your outdoor space and pinpoint any design limitations and benefits that will contribute to your final product. We take the time to fully understand your wishes and lifestyle needs and make every possible effort to make the deck you’ve been longing for. When summer arrives, you want to cram in as much outdoor fun as possible. This is why it’s imperative to use a professional and reputable company to ensure the structure and foundation of your new deck is built to last. Our quality craftsmanship ensures your deck is made with an unchallenged design, including Simpson strong ties for fastening, triple stacked beams, and even pre-mixed concrete to eliminate the potential for air pockets. We also offer a variety of materials — all of which are premium quality — to incorporate into your deck design. Our team can explain each one and suggest a product that may be best suited to your maintenance preference and lifestyle. Choose from Pressure Treated Spruce with MicroPro preservative technology, or Western Cedar for its rich, natural colour, or you can even select from a range of composite products, including Trex, Azek, Veranda, and Gorilla Deck. Each material is 1st-grade quality and long-lasting. At Fence Masters, we never cut corners. Every custom deck is built on site to ensure the final product is designed and installed using the highest standards of craftsmanship. And best of all, we don’t sub-contract out any of our services. 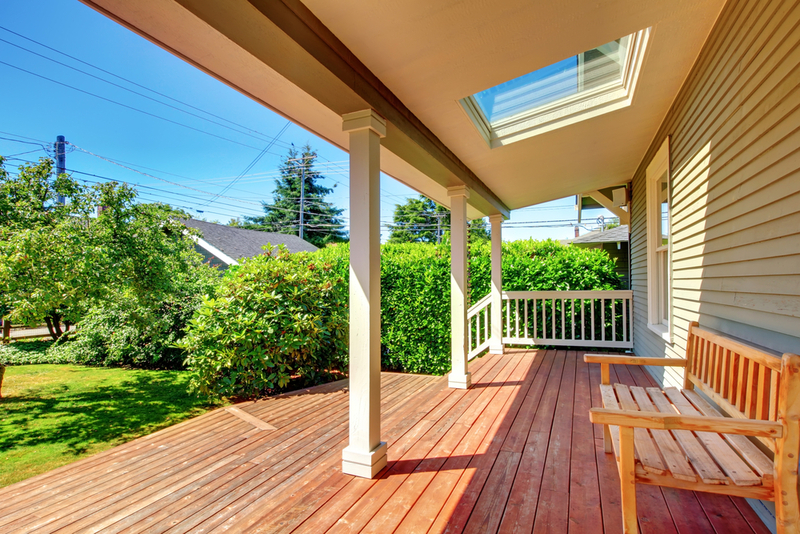 When you’re ready to upgrade or add on a new deck this summer, give us a call. We can answer any questions you have and guide you through the entire process, from the design to instalment.